So you’ve never been to Zell am See, Austria? If you’re anything like I was before my Austria Adventure, you wouldn’t know what you were missing out on! 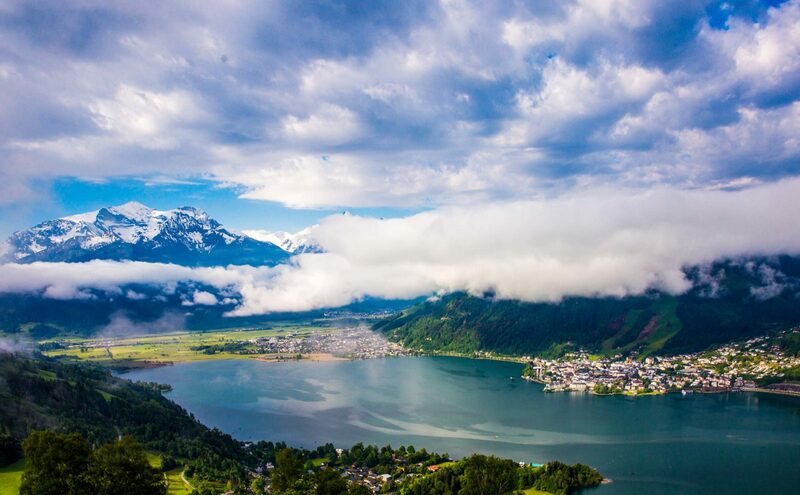 Zell am See is the host city of AA’s Austria Family Adventure. Getting into this town a day or two early will not disappoint (and will allow you to adjust to the significant time zone difference!) A very safe, somewhat touristy town, Zell am See provides a wide array of shops, restaurants, and activities that the whole family can enjoy. After losing my luggage on my airline, there were plenty of shops to accommodate my needs in getting temporary replacement items such as clothing, shower items, and a phone charger. I also had the best (and biggest) burger ever at one of the local joints in town – yum! Everywhere is easy to walk to and many of the locals speak English, so you can feel confident exploring a foreign city on your own! My favorite feature in Zell am See is the Zeller See, the lake smack in the middle of town. Sailboats, swimmers, paddle boats, and swans grace the waters, and with a backdrop of carpets of colorful flowers, the local ski resort, miniature chateaus complete with hanging flower baskets, and the towering Alps with snow-capped peaks, the scenery is jaw-dropping gorgeous! Trails surrounding the lake allow you to walk from one section of town to another, although you won’t want to walk the full 8 miles around the lake since that’s your first day’s bike ride! This host city of our Austrian Family Adventure is a place to relax, acclimate, and have fun. Check out our other cycling tours for other exciting host city options. Getting into the host city of any ALA trip a few days early is a great idea not only to adjust to the time zone difference but also to explore a new city on your own without a guide (which can be an adventure in and of itself!) Get out on any AA Adventure today to see what’s out there!